Would You Like Less Stress, RIGHT NOW? 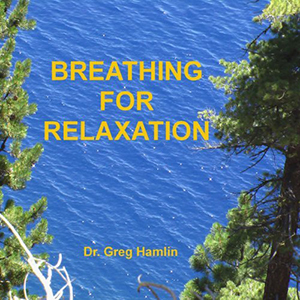 My FREE audio course will help you RELIEVE STRESS and show you HOW TO RELAX in just minutes! These audios have proven to be gems for my clients who want steps and tools to relieve stress quickly. You may have been hearing about mindfulness and wondered, “What is mindfulness meditation?” Simply put, mindfulness meditation involves shifting your mental focus onto something specific in in the present moment while being relaxed and fully present. These breathing exercises, give you the steps and tools to experience a greater sense of calm. Just download and listen to my voice guide you through simple steps and tools to relieve stress. These are some of the best breathing exercises around because they have been crafted to tap into how the brain activates the relaxation response of your parasympathetic nervous system. Learn how to relax and relieve stress by becoming mindful of your breathing. My clients who try it once can feel the difference in just 5 minutes. Use it daily for 10 to 14 days, and watch how these relaxation techniques inject calm into frustrating situations, difficult conversations, meetings at work, and your efforts to fall asleep. Sign up now and get the steps and tools to relieve stress quickly. I even include a short video on how to get the most out of these audios. In the video I explain why breathing exercises are so effective at switching off your fight-or-flight stress response. I also include a PDF worksheet that allows you to track your progress as you practice. So if you are asking, “What is mindfulness meditation?” then take this short, easy course on how to relax and have less stress. My simple approach will initiate you into mindful breathing exercises that are SO EASY TO USE. These audios will give you painless steps and tools to relieve stress–even if this is completely new to you!